Each year, I have a new chance to update my workout goals and make this my best physical fitness year ever. I’m excited about this year, because I’ve made some very realistic changes with my year of Simplicity workout goals. You can have the same success, make a realistic workout plan and schedule it into your life so you can get it done. Be sure to take one day at a time; it’s the small progress that will lead to big results. Make time for your workout. 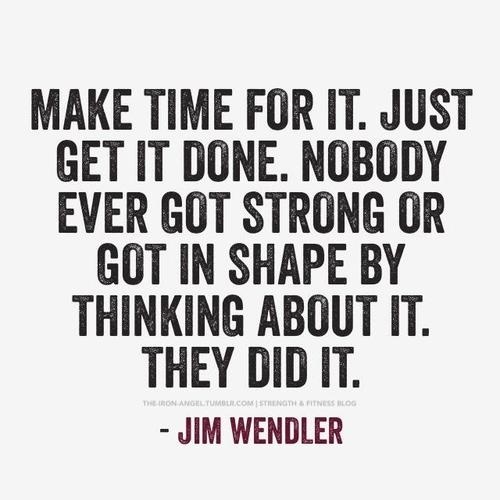 Schedule your workout time, just like an appointment so you have time to make it happen. Be realistic about what you can accomplish in a day, week or month. I have all of my running times and my exercise classes scheduled into my calendar so I always know what I should be doing. However I had a backfire this past semester: I thought it would be a good idea to do a double workout every Monday over my lunch hour. Trouble was I had a meeting that would run late every week and I’d be rushed, late and never really get my energy back. So this semester, I’m scheduling my workouts in the evenings after work, to give me enough time to get everything done.